Leaks surrounding AMD's upcoming Fiji Flagship has been coming in from all directions, so I though we could all benefit from a roundup of all the latest information. Below we can see the latest images which have been leaked for the upcoming GPU, showing a glowing Radeon Logo a full cover backplate and a pressure optimized fan on the AIO water cooler. Full Specifications for AMD's upcoming Fiji GPUs have surfaced, showing that there will be both air and water cooled versions of the new GPU. The Flagship Fiji GPU, the Radeon Fury X, will have a version which is air cooled and a version which is water cooled, with the lower end AMD Fury (non-X) which will be air cooled. Below are the full specifications, showing a huge leap in performance over the R9 290X and a large leap in GPU efficiency in addition to the large increase in core count. One of the most interesting thing here is the new cooler design for the air cooled versions of the Radeon Fury GPUs, which instead of overly loud and insufficient blower fan on the R9 290X, AMD has decided to cool it with 3 Axial fans, which is similar in design to the cooler from the HD 7990, which was a dual core GPU which was released several years ago. While this cooler was not pictured, the planned 3 axial fans will make a cooler which will look and be similar in size to the HD 7990, which is pictured beside the GTX 780, the GTX Titan and an R9 290X below. With a large air cooler the air cooled models of this GPU is likely intended to be made with a larger PCB than the water cooled version of the Fury X. 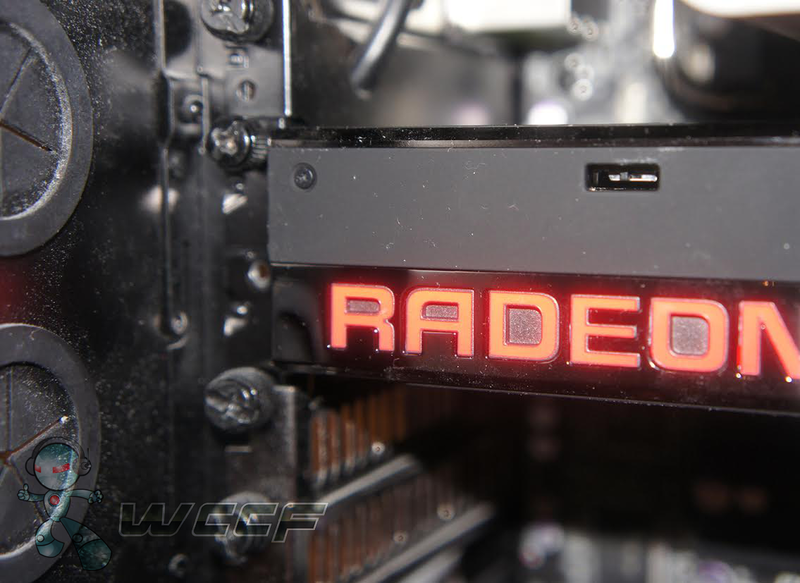 It is now expected that the water cooled model of the Radeon Fury X will be much smaller than the Air cooled versions, making it more suitable for smaller PCs. There is no doubt this GPU will be the most powerful GPU of it's size at launch. In terms of GPU core design, it looks like AMD is using a more modern version of AMD's GCN Architecture, likely GCN 1.3, which will feature the memory compression ability (greatly increasing the effective GPU memory bandwidth) and the tessellation performance increased of AMD's GCN 1.2 architecture, Tonga, and also include some large increased in GPU performance per watt. The TDP of the Radeon Fury is only 10 watts higher than the R9 290X, which is impressive given how many extra GPU cores it has. Performance figures for AMD's Upcoming Fury X GPU have also recently been leaked, showing it beat Nvidia's GTX Titan X and GTX 980Ti in 3DMARK, let's hope this kind of performance can be found in other benchmarks and in games. As we can see in the graph below, AMD's Fury X GPU will beat Nvidia's GTX 980Ti by around 100 points in both Firestrike Ultra and Extreme, trading blows with the GTX Titan X too. We can also see some impressive Crossfire scaling, producing scores which are 76% better than just a single GPU. AMD's Fiji GPU GPU is looking like it will be a highly competitive showing from AMD, which is likely going to be announced on June 16th at AMD's PC Conference at E3. You can join the discussion on the Radeon Fury's Specifications and performance on the OC3D Forums. That switch. What could it do? It engages the flux capacitor. Obviously.